The Indian team has been, in the past, associated with the tag of poor travellers abroad, due to their ineffectiveness to force out wins on foreign soil. 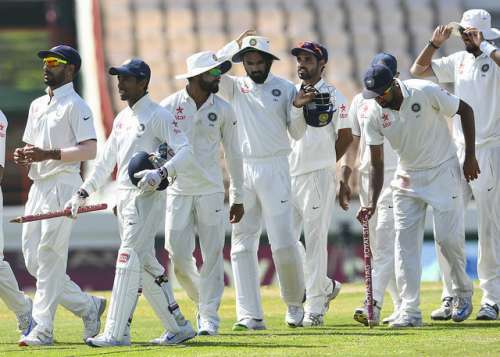 Although India played their first Test in 1932, it took them almost four decades to register their first win abroad. Since then, India has grown from strength to strength, and the present team looks like a potent side with enough arsenal to compete against the best in their own backyard. This was the first time that India won more than one Test in a series in the Caribbean. Already one-up in the four-match series, India inflicted a thumping defeat on the hosts, courtesy a huge stand between Ravichandran Ashwin and Wriddhiman Saha for the sixth wicket and Bhuvneshwar Kumar’s sublime swing bowling. 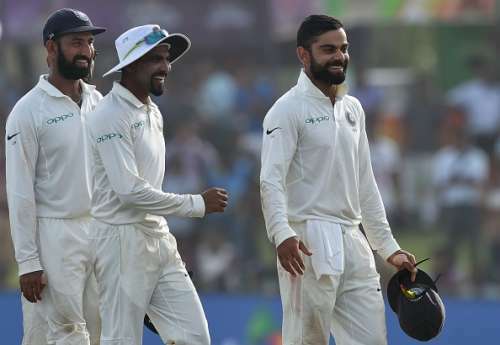 With India reeling at 126-5, the duo of Ashwin and Saha dug in, scored centuries, and helped the visitors take their first innings score past 350. Bhuvneshwar Kumar then wreaked havoc with the second new ball, as the hosts lost their last seven wickets for a mere 23 runs. The visitors compiled quick runs in their next innings, and set the West Indies a target of 346 runs, with 87 overs in the last day to play out a draw. However, apart from Darren Bravo (59), none of the batsmen could stay put for long, as a dismal performance saw them get bowled out for 108.